If you want more harmony and balance in your life while toning and losing weight, try starting a daily yoga routine. We asked Adri-Mari Vilonel, owner of the yoga studio Harmony House, how it can boost your overall wellbeing. What do you define as balance? Balance means harmonising all levels of your being: physical, mental, emotional and spiritual. This can be achieved by living in harmony with nature and cultivating your ability to listen to signals from your body and mind. How does yoga reduce everyday stress? Yoga can reduce the effects of stress on the body and mind by reducing the body’s levels of cortisol (the stress hormone produced by the adrenal glands), which can be used to measure a person’s stress response. Yoga reduces stress through mental and physical cleansing and strengthening – it works on holistic principles of harmony and unification. Yoga postures (asanas) remove the physical discomfort accumulated during the day, such as muscle tension, which can be caused by stress. Can yoga improve your emotional state? A person is the expression of both the body and the mind, and both effect the emotional state. Yoga integrates and harmonises the body and mind. Emotional tension and suppression can tighten and block the smooth functioning of your physical and mental state. 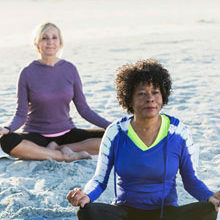 A well-chosen set of yoga postures, together with breathing and other meditative yoga techniques, is most effective in releasing mental and physical “knots”. 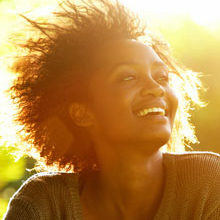 Through the release of dormant energy, the body and mind become full of vitality and strength. The mind becomes light, creative, joyful and balanced. Can yoga promote weight loss? I have had clients, who regularly practice yoga, having significant weight loss and maintaining their new-found health over an extended period. In short, I believe the success of yoga and weight loss revolves around the new relationship that’s developed between the mind and the body. However, weight loss is one of several benefits of yoga. Your focus moves more to holistic health, as yoga helps tone, lengthen, and strengthen the muscles, which can contribute to the sculpting of the body. The Vinyasa-style of yoga links movement and breathing together with poses, and typically builds up internal heat, resulting in a greater calorie burn. Don’t want to join a class? Then practise yoga at home! Download your favourite class on Youtube or buy a book of yoga poses. If you’re looking for poses and routines online, Pinterest is a good place to start. Practise your routine three times a week moving fluidly between poses. If time allows, spend the last few minutes lying on your mat in the Sleeping Warrior position (feet together and knees wide, left hand over stomach and right hand over heart).